Battle of Chickamauga. Union loss Battle of Chickamauga. The Battle of Chickamauga was the largest battle fought in the Western Theater of the Civil War, and the second deadliest being second only to the Battle of Gettysburg. The Battle of Chickamauga was the most important Union loss in the Western Theater of the Civil War. The battle marked the end to the Union’s “Chickamauga Campaign” and was a technical victory for the Confederacy as the Union Army was discouraged from entering Georgia further. But the Union did achieve their objective of capturing Chattanooga which was an important railway supply hub for the Confederacy. The Union cavalry had a marked advantage at this time with their new repeating “Spencer Rifles”. Attack: Union commanders are reorganizing their widespread corps from Tennessee and Georgia to continue their campaign to drive the Confederates from Chattanooga. Confederate commanders will abandon Chattanooga with plans to reoccupy once they take the offensive and defeat the scattered Union corps. 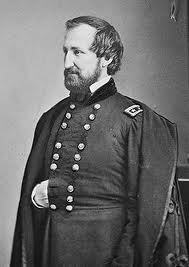 Union Commander: Major General William Rosecrans and his Army of the Cumberland has had a successful summer and “Tullahoma Campaign” including his victory at the second Battle of Murfreesboro in January. He moves his army south toward Georgia in June. The Federal Army is closing the gap to Atlanta. His greatest concern has been his supply line as he crosses the Tennessee River which he does in areas the Confederates do not expect. His mounted infantry is now equipped with the “Spencer Repeating” lever action rifle offering a tremendous tactical advantage. The plans from President Lincoln and Commander in Chief General Halleck to push the rebels from Chattanooga is a success until the rebels turn and plan to attack the isolated Union XXI Corp.
Union cavalry and mounted infantry will make contact with rebel elements forming and probing north attempting to crush the Union units before they are fully organized. Elements of the the Union Army have been under attack since September 10th as they have divided into three columns heading into Georgia. Rosecrans knows his armies are scattered and the full force of the Confederate Army is organizing on September 18th, the eve of the Battle of Chickamauga. The Confederate attacks over the next 2 days against the Union lines will leave the Federals weakened with heavy losses for both sides,but the Confederates are being resupplied faster in their own country. The battle on September 19th is repeated attacks from the Confederates. They actually punch through the Union line”in column” at 11:00AM on September 20th when Rosecrans mistakenly moves some brigades, making a hole in the Union line. The temporary route even forces Rosecrans and staff to fall back. 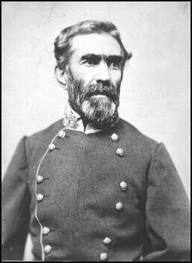 Union General George Henry Thomas would earn his eternal nickname “The Rock of Chickamauga” as his units would stand and fight the Rebel divisions as they poured through the gap on the afternoon of the 20th. He had extended his flanks farther than the Confederates had expected and had built defenses that would prove costly to the Rebels. A Virginian who had chose to fight for the Union, George Thomas took advantage of his position and the steep woods around him. The delayed attacks from the Confederates gave Thomas time to reposition and build breastworks on ” Horsehoe Ridge” that the Confederates would throw themselves against all afternoon without success. The fact is Rosecrans left the field not knowing that Thomas still held the field. Many felt had he known the Union still controlled the western flank, he might have rode to Thomas and pulled Union victory from defeat. The CSA Army moving north on September 18 engages Union mounted infantry armed with “Spencer” repeating rifles. The next day, the 19th the fighting begins on a grand scale as the CSA brigades throw themselves against the Union defenses and are repulsed. 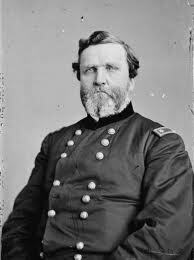 By the 20th, battle lines are shifting constantly and CSA General James Longstreet has 8 brigades moving to attack a gap in the Federal line mistakenly created by Rosecrans. The Union flanks are rolled up and thousands of Union troops are driven from the field in defeat. Brigades under Union General George Thomas hold and are reinforced on “Horseshoe Ridge”. They are able to hold till nightfall than retire back to Chattanooga with the rest of the Federal Army after the Battle of Chickamauga. The Union will suffer one its worst defeats, as the Confederacy rallies to reinforce its Army of the Tennessee and turn on the attacking Federal Army. Understand the mistakes made that create the Union route, and how one Union General holds the line and saves the Union Army of the Cumberland from complete annihilation. He will take command, rally the Federal troops to fight hard all afternoon. Later, his men will give him his eternal nickname “Rock of Chickamauga”.